Participating in the African American Dance Company has already been a journey of exploration and growth for Indiana University sophomore Alexis Beverly. Now, she’s poised to take an even bigger step in her personal development. A neuroscience major from Indianapolis, Beverly has been a part of the ensemble—a course in the Department of African American and African Diaspora Studies (AAADS) and one of three performance ensembles in the African American Arts Institute (AAAI), a program within IU’s Office of the Vice President for Diversity, Equity, and Multicultural Affairs (OVPDEMA)—since her freshman year. 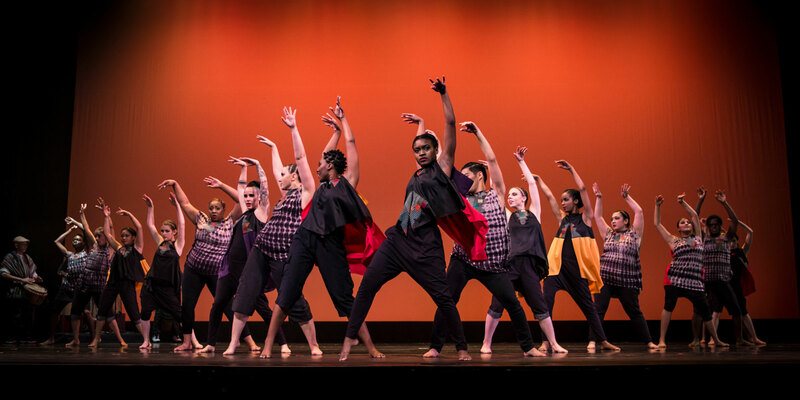 Dancing isn’t anything new for Beverly, but Professor Iris Rosa, director of the dance company, has opened her eyes to how it can help learn in other ways. “I’ve been dancing since I was a little kid, probably about 3 or 4 years old, and I’ve been dancing in a group since I was 8. Prior to IU, I mostly did hip-hop and jazz, so it had some similarities to what Professor Rosa does, but I wasn’t technically trained in ballet or anything on a stage,” explained Beverly. “Through the dance company, I’ve learned more about myself, being comfortable with my body, and the African aesthetic. We’re a really diverse group with people from different ethnic backgrounds. “At first, I didn’t believe that we would get the opportunity to go to China, so when Professor Rosa told us that it was definitely happening, it was really amazing. I’ve always wanted to go to China, so to be able to dance and share my culture with people who may not know much about it is going to be exciting." “We also learn a lot about our history and our origins, because being African American, we don’t always know where we come from. We’re all from Africa originally, but we don’t really know our origin. That gets lost because we were brought here from different places. But I get to learn, through dance, about different places in Africa,” she went on to say. “We do dances from Ghana, Senegal, the Ivory Coast. It doesn’t even have to be from Africa. We also do dances from places like Colombia or Puerto Rico. As a freshman, Beverly—who is also a Hudson & Holland Scholar, another OVPDEMA program—missed out on the dance company’s trip to Jamaica for the Rex Nettleford Arts Conference—so she’s thrilled to be making her first trip overseas later this month. 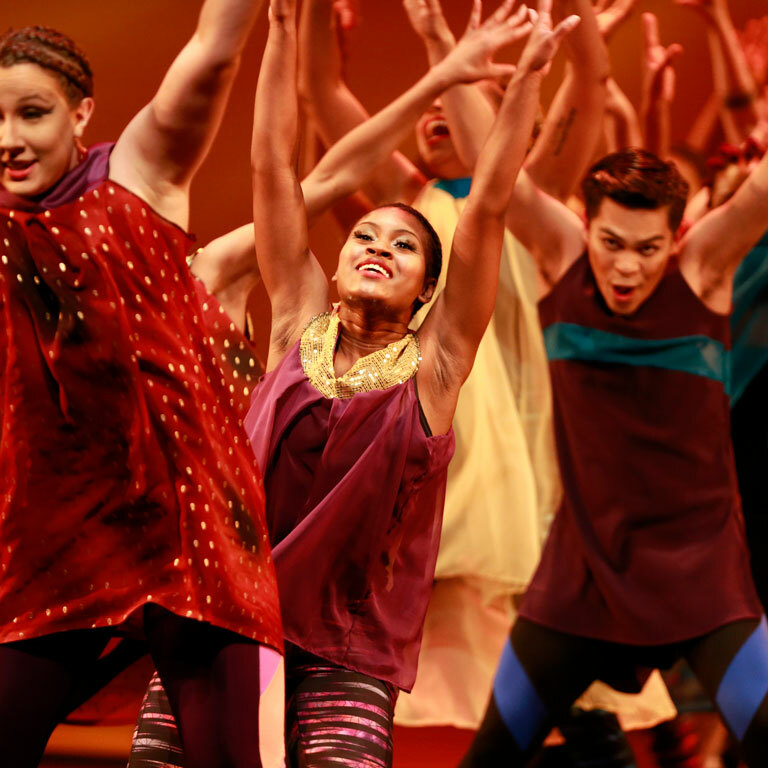 From December 16 to December 23, the African American Dance Company will be conducting a cultural exchange with the School of Law and Humanities of the China University of Mining and Technology Beijing in Beijing, China, featuring multiple performances, class demonstrations from Professor Rosa, lectures from AAADS Professor Carolyn Calloway-Thomas, and interaction between students from both universities. Visit the African American Dance Company blog to follow Alexis’ experiences in Beijing.